Land clearing has been a part of the area now known as Spring since the earliest inhabitants known as the Orcoquizan Native American tribe used the resources to farm and develop their community. The area grew from having a trading post, national railroad lines to a community overtaken by the never-ending sprawl known as Houston. The need for responsible Land Clearing is as important as ever to the Spring area and Llewellyn’s Construction is the professional land clearing company that will ensure the job is done right. The Spring area has been through its’ share of growth and the top choice for the need of land clearing is and has been Llewellyn’s Construction. Responsible growth and development begins with land clearing and Llewellyn’s Construction ensures that your investment is worth it. Llewellyn’s Construction land clearing has been an asset to the Spring area for residential and commercial development for years. 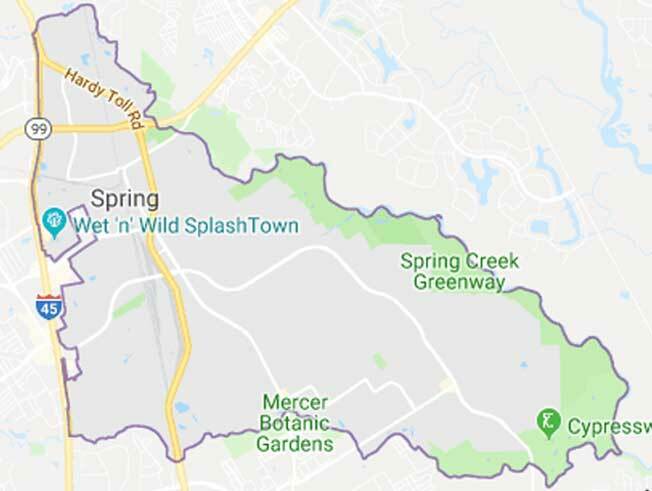 The charm of the “Old Spring” area creates challenges of both residential and commercial redevelopment and Llewellyn’s Construction is the top choice for responsible land clearing. Llewellyn’s Construction has been counted on to provide the Spring area with our professional land clearing services, but we have also been counted on for our other services that go beyond land clearing. Once a parcel of land has been professionally cleared by Llewellyn’s Construction there may be a need to develop driveways and culverts. Llewellyn’s Construction commercial and residential land development services include driveways, culverts, retention/detention ponds that help control flooding threats and that’s not all. Many of our Land Development services are listed below but if your need is not shown, please visit our website to see our lists of Commercial and Residential services. Most importantly, if you have any questions at all or if your ready to give Llewellyn’s Construction an opportunity to earn your business, please give us a call.